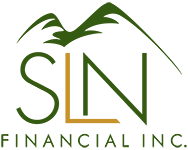 July 05, 2017 - The Baby-Boomer Retirement: How They're Redefining This Life Stage | SLN Financial, Inc. Everyday, more and more baby boomers retire, bringing with them a shifting retirement landscape. This large demographic began turning 65 years old in 2011, and by 2029, all boomers will be at least 65, forming 20% of the U.S. population. As boomers retire, they are breaking the trends from their parents and grandparents — ushering in a new definition of what it means to retire. Here are some key ways boomers are redefining retirement. 1. They are living longer. The boomer generation generation is living longer than those before them. For 65 year olds today, 1 out of every 4 people will live into their 90s. This longer life means they will both have more years to enjoy their retirement, as well as additional years to account for when building their income. And with healthcare costs increasing and pensions disappearing, they have to find ways to maintain their desired lifestyles and account for longer lifespans. 2. They are remaining active. Retirement for many baby boomers includes staying active. Compared to previous generations, boomers have 10 to 20 additional years of productive and capable living. And many of them are choosing to stay physically active. In fact, the top sports activity boomers enjoy in their free time are fitness sports (57.9%) followed by individual sports (24.4%). Their aging mindset may be playing a role in their activity levels: Boomers who are already at least 65 years old do not consider themselves old until they turn 74. So even their perspectives on what old age means is keeping them active and eschewing traditional “senior” mentalities, like immediately moving to a retirement community. Since boomers are staying active for longer, they are also delaying moving to senior facilities for another 20 to 30 years. Rather than choosing to stop working, many retirees are starting businesses. In fact, of workers who are older than 65 years old today, 18% of them are self employed. And start-up activity among boomers is rising higher than any other generation. Boomers are drawn to start-ups to both supplement their income and engage their mind. And these lifestyle businesses — which supports the kind of lifestyle the owner wants to live — account for 80% of boomer entrepreneurs. These highlights are just a handful of experiences boomers find in retirement. From managing your health care costs to starting new businesses, you have many ways to prepare for and enjoy this new life stage. If you are in the baby-boomer generation and would like to discuss your unique retirement needs and goals, we are more than happy to help. Feel free to contact us today.